These medications are some of the most frequently used medications and have been heavily marketed to the general public by the manufacturers. These medications are known throughout the medical and scientific community as proton pump inhibitors (PPIs) and are used to treat medical conditions known as gastroesophageal reflux disease (GERD) or erosive esophagitis (EE). These medical conditions are more commonly referred to or known as heartburn, acid indigestion or acid reflux. Proton pump inhibitors (PPIs) are designed to reduce the body’s production of gastric acid which in turn reduces the feeling of irritation and inflammation in the throat or esophageal area. 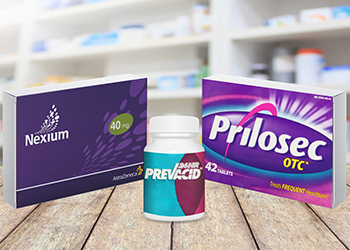 While there are many different types of over the counter medications to treat acid reflux or acid indigestion, Nexium, Prilosec and Prevacid have separated themselves from the competition in large part due to massive marketing campaigns. Approximately 15 million people in the United States currently use a proton pump inhibitor (PPI) medication. Nexium is manufactured by AstraZeneca and has been under the greatest legal scrutiny for side effects and injuries. One of the first kidney damage lawsuits arising from the use of proton pump inhibitors (PPIs) involved Nexium. Prilosec, also made by AstraZeneca, is very similar to Nexium and treats the same condition. Prevacid is made by Takeda Pharmaceuticals. The February 2016 issue of JAMA, Journal of the American Medical Association, included the results of a study which showed a 20 to 50 percent increased risk of chronic kidney (renal) disease or failure in patients taking Nexium (esomeprazole) and/or other similar medications. The study examined medical records of thousands of individuals taking proton pump inhibitors (PPIs). These patients were evaluated for many years. The results of the study seemingly established that the longer the proton pump inhibitors (PPIs) were taken, the greater the risk of developing chronic kidney disease. While proton pump inhibitors (PPIs) have shown an ability to reduce and/or alleviate heartburn related symptoms, the recent studies show that it may very well come with a great cost to your health. Significant concerns have arisen over the negative impact these PPIs have to renal or kidney function. Specifically, PPIs have been linked to a condition known as acute interstitial nephritis (AIN). To read more about the connection between PPIs and AIN, click Journal of the American Society of Nephrology. If you or a loved one has been taking a PPI medicine, it is very important that you inform your physician so that you can be properly tested and evaluated for kidney problems. At this time, these medications are still on the market and have not been recalled by the manufacturers or the U.S. Food and Drug Administration (FDA). The attorneys at Hollis Wright are currently representing many individuals that are suffering from kidney failure and acute interstitial nephritis (AIN). Our attorneys have a proven track record of success handling cases against major drug manufacturers and can help you obtain the compensation that you deserve from taking a PPI medication. 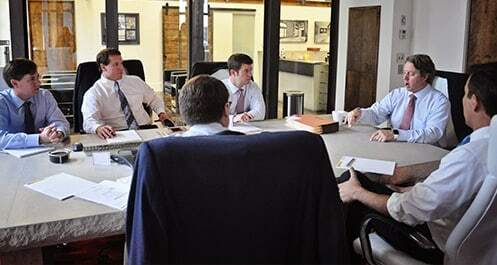 Call 844-529-8255 or 205-324-3600 to speak with one of our attorneys or contact us via email. Your call is free and we handle cases on a contingency fee basis which means you pay nothing unless we successfully recover money for you.